Book Reviews and Promotions: Want to Teach Your Children Social Skills, Life Skills and Positive Behaviors? Want to Teach Your Children Social Skills, Life Skills and Positive Behaviors? The newly published book, ‘The Smart Playbook: Game-Changing Life Skills for a Modern World’ by Suzanne M. Wind, has become one of those “must have” resources for parents to keep around the house to help them impart to their kids the art of social graces. Since its debut, the book is the proud recipient of ten awards including a Mom’s Choice Awards® Gold, Creative Child Magazine 2014 Book of The Year, USA Best Book Award, Academics’ Choice Award, Family Review Gold Award, The Toy Man® “Mom-Approved Comme Il Faut” Award, The Toy Man® eChoice Award, The Toy Man® Award of Excellence, The Toy Man® S.T.E.M Award, and The Mr. Dad Seal of Approval. “The ‘gamification’ methods included in The SMART Playbook will help children ages 6-12 gain confidence, character, integrity and empathy in face-to-face situations and technology usage,” said Ms. Wind, a mom of three, who considers the book a “must have” for families. As the creator of The SMART Playbook, Ms. Wind said the activity book uses a handson approach with more than 100 games and challenges to choose from. “The result: a happy and confident child thriving in a modern world,” assured Suzanne – a woman with an impossible mission to present families a simple and effective game plan to teach relevant life skills in a modern world. Arguing that the world is changing faster than ever before has led Ms. Wind to believe parents and children are busier today than ever, and technology has and will continue to present new challenges they must face. According to one reviewer, Suzanne has created a “fantastic, fun and interactive” book that’s right for both children and parents. 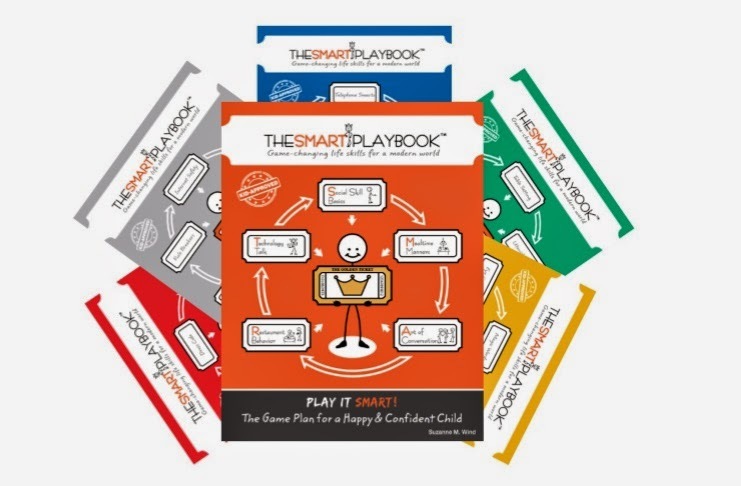 She believes ‘The SMART Playbook is the perfect activity book, as it is designed to lead them in a collaborative effort to bring manners to a new generation.